Home>New Songs>Travis Scott Songs> Travis Scott, James Blake, Stevie Wonder Go Ethereal On "Stop Trying To Be God"
Travis Scott's "Stop Trying To Be God" is designed in a two act structure; La Flame carries the torch on the former, while the legendary Stevie Wonder holds it down for the latter, providing instrumentation for UK singer James Blake. As the ethereal odyssey kicks off, Travis lulls listeners in with a simple, yet effective melody. Lyrically, the song's main message carries a sense of universality, though some may wonder whether or not his warning may be aimed at any particular target. Musically, several elements form in a harmonious fashion, with the welcome addition of an absolutely murderous harmonica, a staple of Wonder's toolkit. As the second act begins, the song transforms as disparate elements coalesce; while Astroworld features moments of brilliant production, Blake's vocal section is a masterclass in that department. Subtle organ (both rhodes and church), two-part harmonies, and of course, the aforementioned harmonica combine for a lush slow burn. Blakes's vocals are equally inspiring and haunting, as his ghostly wails evoke shades of Radiohead's subtle soundscapes; recall, Travis previously cited Thom Yorke as an influence. 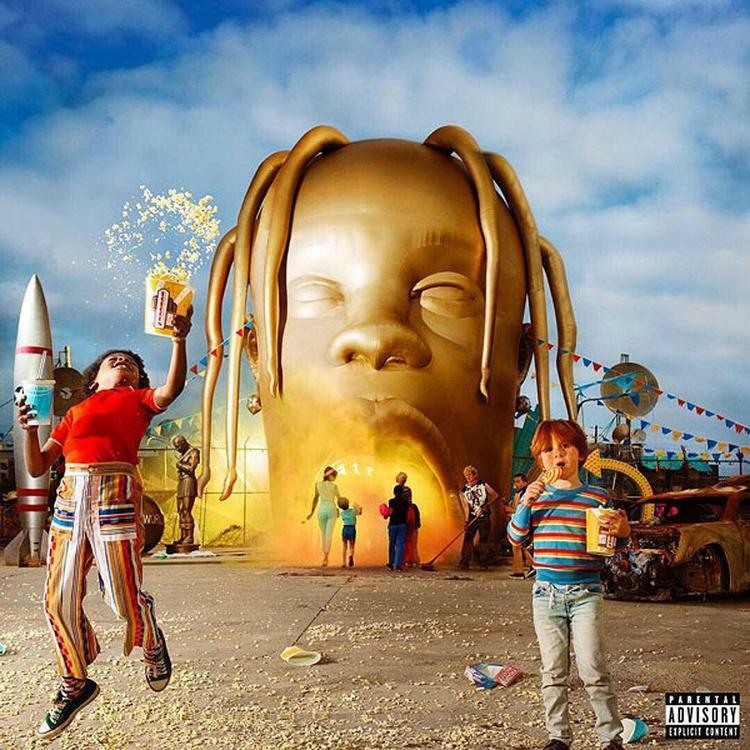 Even for those unwilling to buy into La Flame's more hedonistic cuts, the epic "Stop Trying To Be God" is a powerful piece of music with widespread appeal. Though not as immediately accessible as a "trap banger," this magnificent song takes hold on a deeper level; don't be surprised to carry it with you throughout the day. Is it the complex of the saint that's keepin' you so, so still? Diggy Simmons Returns With New Single "It Is What It Is"
Travis Scott & YG Team Up On DJ Mustard's "Dangerous World"
SONGS Travis Scott, James Blake, Stevie Wonder Go Ethereal On "Stop Trying To Be God"